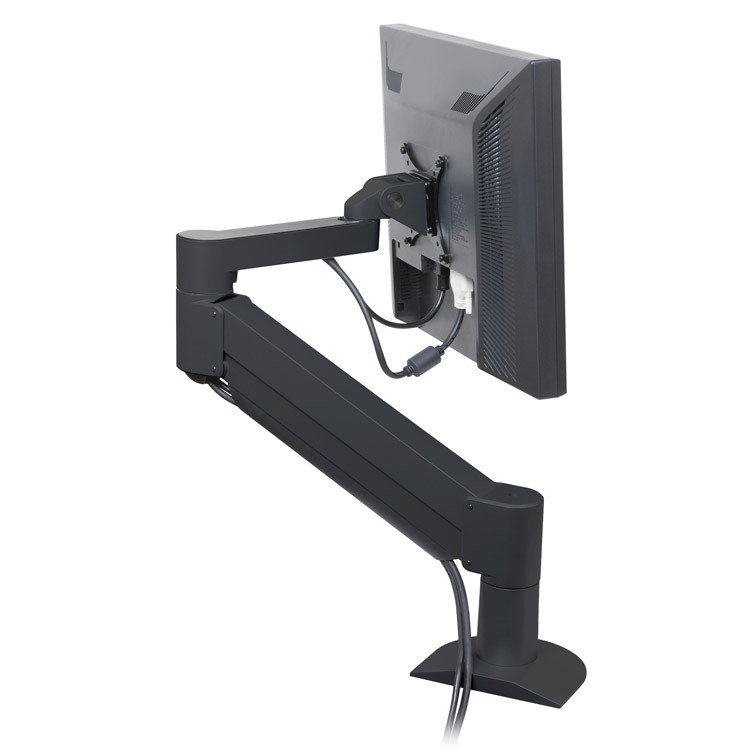 The 7000 Series of LCD Arm will change the way you work, the arm suspends your flat panel above your desk, allowing you to quickly reposition the monitor with just one hand. Simply move the monitor to where you need it. The arm eliminates the monitor footprint on your desk-- reclaim your desk, even as you work in greater ergonomic comfort. Includes our FLEXmount, with 6 mounting options including desktop and grommet clamp, thru-desk bolt, and wall mounting. • choose from a variety of models to find both the vertical and horizontal adjustment range best suited to your workstation.